Advocates of progress often have too low an opinion of what already exists. All progress has resulted from people who took unpopular positions. All change is the result of a change in the contemporary state of mind. Believe in life! Always human beings will progress to greater, broader, and fuller life. Bureaucracy is the epoxy that greases the wheels of progress. But America is a great, unwieldy Body. Its Progress must be slow. It is like a large Fleet sailing under Convoy. The fleetest Sailors must wait for the dullest and slowest. But by far the greatest obstacle to the progress of science and to the undertaking of new tasks and provinces therein is found in this- that men despair and think things impossible. Celebrate any progress. Don't wait to get perfect. Change based on principle is progress. Constant change without principle becomes chaos. Conservatives- or better, pro-corporate apologists- hijacked the vocabulary of Jeffersonian liberalism and turned words like 'progress,' 'opportunity,' and 'individualism' into tools for making the plunder of America sound like divine right. Despite all our toil and progress, the art of medicine still falls somewhere between trout casting and spook writing. Disobedience, in the eyes of anyone who has read history, is man's original virtue. It is through disobedience that progress has been made, through disobedience and through rebellion. Even those who fancy themselves the most progressive will fight against other kinds of progress, for each of us is convinced that our way is the best way. Every passing hour brings the Solar System forty-three thousand miles closer to Globular Cluster M13 in Hercules- and still there are some misfits who insist that there is no such thing as progress. Every step in human progress, from the first feeble stirrings in the abyss of time, has been opposed by the great majority of men. Human progress is furthered, not by conformity, but by aberration. I wonder why progress looks so much like destruction. If necessity is the mother of invention, discontent is the father of progress. In general, scientific progress calls for no more than the absorption and elaboration of new ideas- and this is a call most scientists are happy to heed. Is it progress if a cannibal uses a knife and fork? It appears that my worst fears have been realized: we have made progress in everything yet nothing has changed. Man's 'progress' is but a gradual discovery that his questions have no meaning. Many people are busy trying to find better ways of doing things that should not have to be done at all. There is no progress in merely finding a better way to do a useless thing. One thing we know for sure is that change is certain. Progress is not. Progress depends on the choices we make today for tomorrow and on whether we meet our challenges and protect our values. People who make no mistakes lack boldness and the spirit of adventure. They are the brakes on the wheels of progress. plays with the bigness of his littleness. Progress is not created by contented people. Progress might have been all right once, but it's gone on too long. Progress would not have been the rarity it is if the early food had not been the late poison. Progressive men employ progressive methods. Risk is the price of progress. Step up to risk. 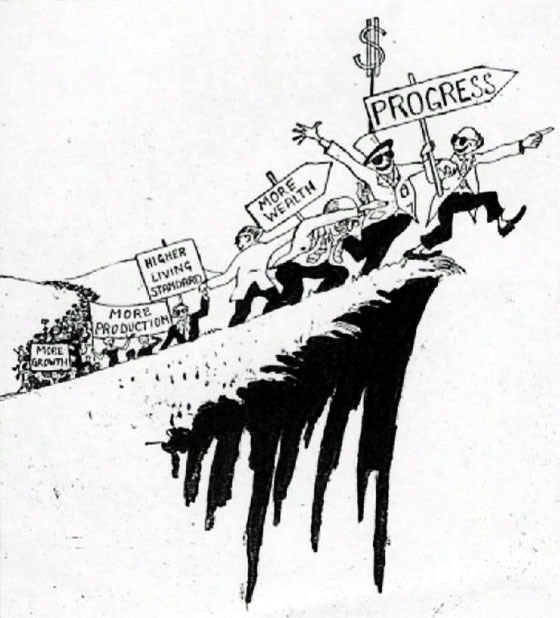 Social movements are at once the symptoms and the instruments of progress. Ignore them and statesmanship is irrelevant; fail to use them and it is weak. The art of progress is to preserve order amid change and to preserve change amid order. The cruelties and the obstacles of this swiftly changing planet will not yield to obsolete dogmas and outworn slogans. It cannot be moved by those who cling to a present which is already dying, who prefer the illusion of security to the excitement and danger which comes with even the most peaceful progress. The moral progress of mankind is due to the aged. The old grow wiser and better. The most closely organized groups and movements in the world are those which have been the least friendly to the people's progress and liberty. The remains of the old must be decently laid away; the path of the new prepared. That is the difference between Revolution and Progress. Without deviation, progress is not possible.